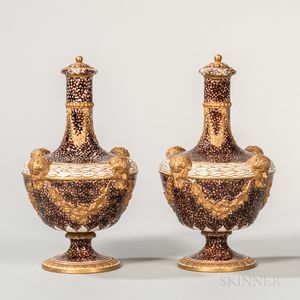 Pair of Wedgwood Peacock Glazed Barber Bottles and Covers, England, early 19th century, gilded and molded Bacchus heads to shoulders supporting fruiting grapevine swags, impressed marks, ht. 10 in. Covers: Each insert stem restored. 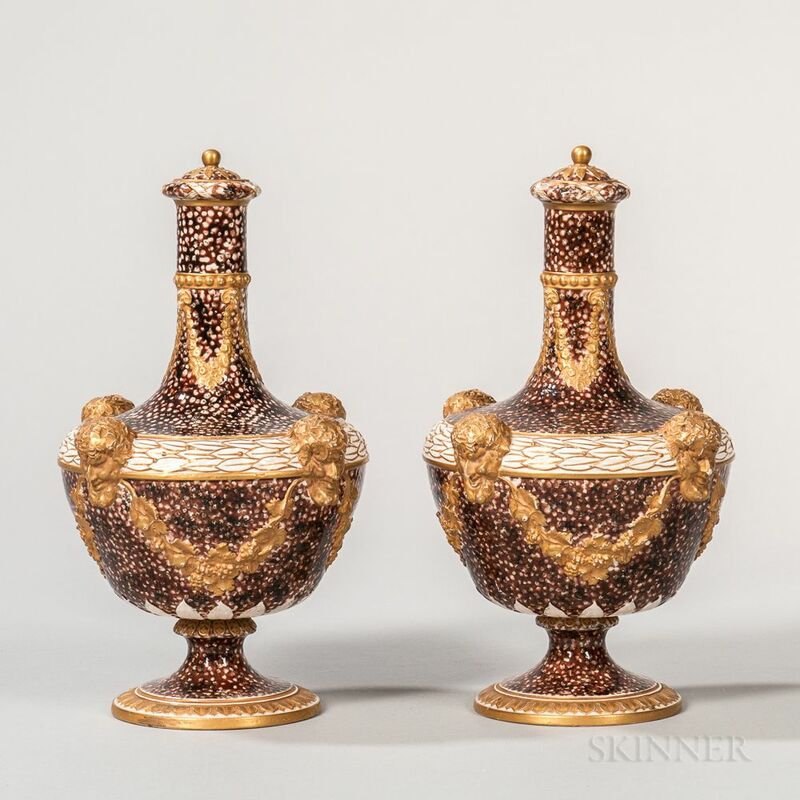 Bottles: Each with abrasions to noses and hair of Bacchus heads; restored socle to one.